There are different styles of playhouses and a lot of styles can be made with it which your kids will truly love. You can add a swing, flower pots, furniture, and slide. 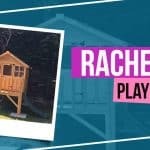 If you are looking for a playhouse that is modern yet still classic, Vicki’s Playhouse is one of the best examples. 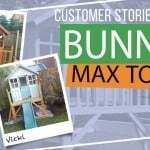 Vicki purchased the Bunny Max Tower Playhouse and shared her story on she put a smile on her four-year-old. 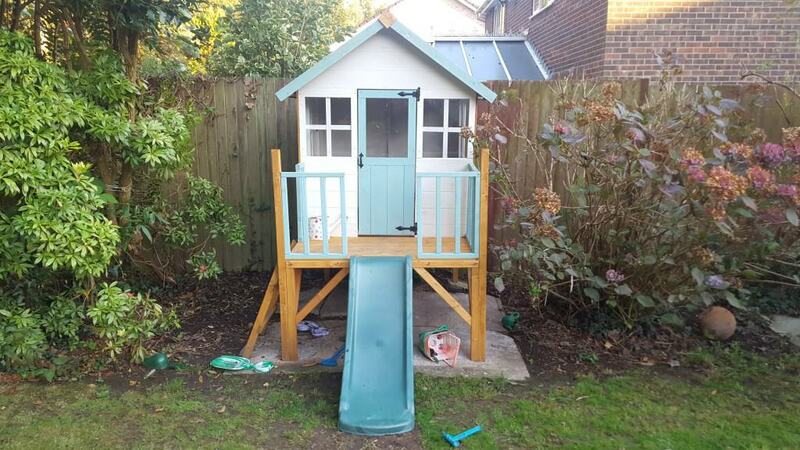 I started looking at reviews online of companies that supply wooden garden buildings/playhouses, the reviews for Garden Buildings Direct were great and the prices couldn’t be beaten so I decided to order the Billy Oh Bunny Max Tower Playhouse with Slide. Why did you choose the BillyOh Bunny Max Tower Playhouse? 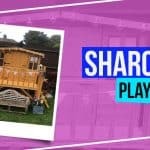 We have had a wooden playhouse in the garden for 10plus years which was starting to show the signs of wear and tear, the front porch had rotted and the floor was showing signs of being unsafe. 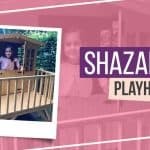 Ordering was easy online, I was kept fully informed of delivery dates, the playhouse turned up on the correct date and was unloaded into my garage by the delivery driver. The playhouse took my husband about 6 hours to put together on his own which included adapting the slide so that it was positioned to come down in front of the playhouse. We now have a very happy 4- year old! How did you decorate it and what paint did you use? It was painted using Cuprinol Pale Jasmine and Jade Garden paint. I would fully recommend Gardens Buildings Direct, they offer good value for money and a good quality product. 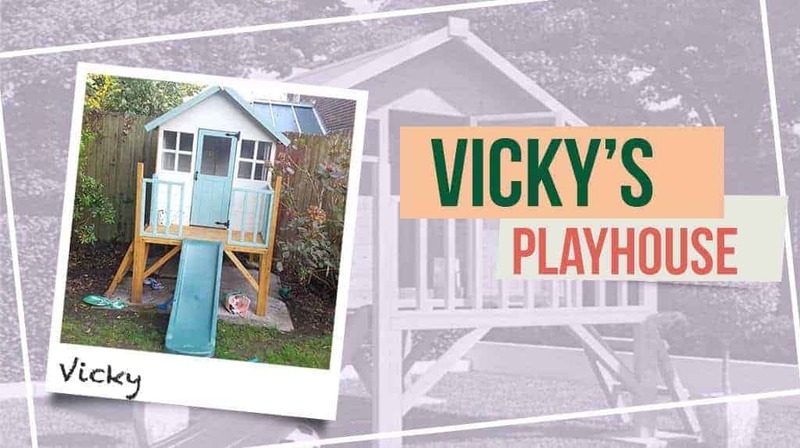 Vicki’s playhouse was perfectly designed with a slide in front which surely adds excitement to her child. 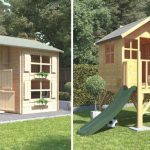 Check out our variety of playhouses for tower, two-storey and more and give your children the happiness they deserve that gives value to your money.